In Endless Playlist, Treble’s staff helps you stock your own playlists by highlighting the best new tracks to come across our desks, laptops and ipods each week. It only took roughly a few minutes, if that, for the release of My Bloody Valentine’s long-awaited follow-up to 1991′s Loveless to crash the band’s just-launched website. After all, it’s not like people had been waiting 21 years for this, right? But a temporary glitch couldn’t really stand in the way of what ultimately was one of the most satisfying resolutions to an anticipatory period that most folks were starting to think never actually would be resolved. A lot of other websites, blogs and magazines have already posted their hasty opinions on the album, and while we’d rather give it a few more listens before putting our thoughts out into the world, immediately there are several tracks from the album that stand out as special among a wholly lovely record. One of the most instantly stunning, “Wonder 2″ closes the album with a kaleidoscopic, druggy descent into spiraling effects and heady drones, sounding at times like a mash-up of vintage Stereolab, mid-period Primal Scream and MBV’s own dance-gaze stunner, “Soon.” There’s clearly a lot happening here, with tripped-out sounds smashing on top of other equally trippy and disorienting sounds, and at times the whole thing seems on the verge of collapse. But as fiery and woozy as Kevin Shields & Co. make this turgid carnival ride, it’s balanced surprisingly elegantly. 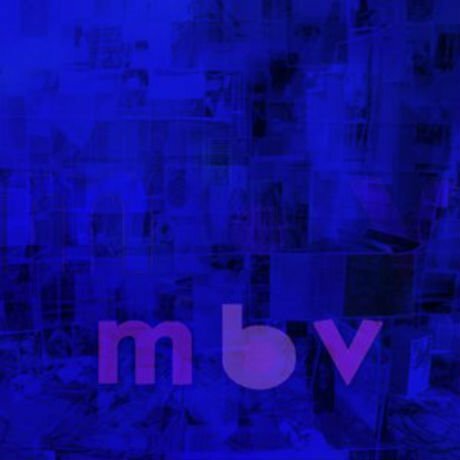 While, in a sense, it’s refreshing that My Bloody Valentine sounds as My Bloody Valentine as ever after all these years, it’s even more exciting that there are still new aspects to be discovered in their dense sonic layer cake.